When I first connected the phone to the PC as mass storage, the drive only had my mp3 music files on it. I was unable to see the other directories on the flash card. So, I used the procedure below to add new sounds that I subsequently saved as ringtones. Playing around, I found I was able to check for a software update in Settings & Tools, Phone Info of which there was one so I updated. Sometime later someone suggested simply using mass storage (in the cellphoneforums.net link below) which I did and found I could now see all the directories on my flash card. 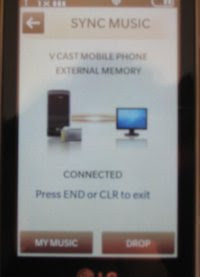 This makes adding sounds much easier as you can connect the phone to the computer, on the phone select Setting & Tools, Tools as USB Mass Storage. 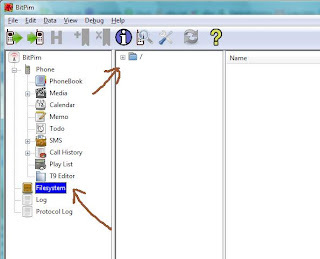 You can easily drag and drop you ringtones to the My Sounds directory. 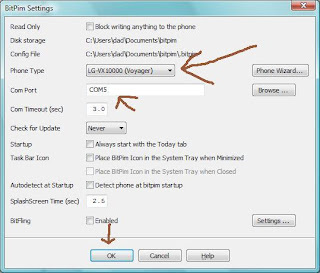 Once they are fully copied, you can disconnect the phone form the computer and select Media Center, Music and Tones, My Sounds and you new ringtones will be there. 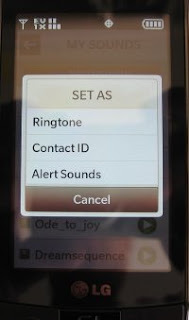 You can then select a sound and use it as a ringtone or send it to your self as a test message and save it as ringtone so it shows up in My Ringtones. 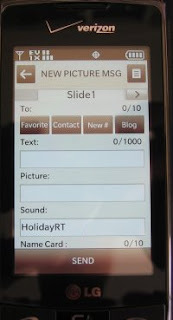 I searched around and found this link how one might add ringtones to the new enV Touch CellphoneForums.net. Since I already had BitPM and used it on my other phones, I was pretty familiar with using it and navigating through the software. Since this procedure is for the Voyager, it does not work for the touch. This procedure does not add ringtones to the ringtone list on the enV Touch. This is an interim procedure to add them as Sound files which can be used just like ringtones. 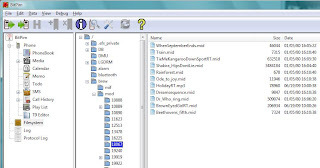 Once the files are added, you can send them to yourself and save them as ringtones. You can delete the sound file after that. I just leave them as Sounds since they work the same. THERE IS ALWAYS THE CHANCE THAT YOU WILL SCREW UP YOUR PHONE EDITING IT DIRECTLY. FOLLOWING WHAT I DID IS NO GUARANTEE IT WILL WORK FOR YOU. I AM DOCUMENTING MY EXPERIENCE. I AM NOT SUGGESTING YOU FOLLOW MY PROCEDURE. DO SO AT YOUR OWN RISK. I CANNOT HELP RECOVER A DAMAGED PHONE. These procedure work for me. I have added a dozen ringtones. - Look for your phone on the COM port. Mine is 5. 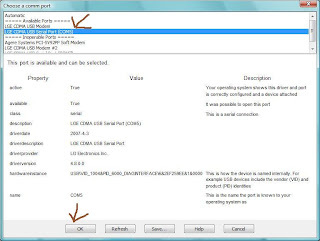 If you change USB ports on the computer, the comport will change too. Always use the same comport. - Select Phone Type "LG-VX 10000 (Voyager)"
Note, if you poke around you will find the default ringtones in /Brew/mod/10889/ringtones/default. You cannot simply copy new files here. Each ringtone is listed in a master file somewhere else. - Right click on 18067 and select "New File"
- You can select any sound and set it as a contact ID, ringtone, alert sound for text messages, etc. * You can send them to yourself and save as a ringtone to add it to the ringtone list or you can send it to someone else. You can delete sounds from the enV. does this work for mac computers too? The latter half just copying files to the phone will work as long as the phone is seen as a mass storage drive. I just found this page having imported a number of ringtones to my phone. I can't believe how many people say to e-mail the ringtone to yourself. I've imported over 20 MP3s as ringtones and I never had to e-mail them. BitPim took care of it. Anyway, here's my link. I have not added ringtones Since I posted my workaround. They coded support for the touch but had not released a BitPM version with it so the workaround was just that. Glad to see confirmation the new bitPM works as expected. Be sure to support the folks who make it. If you are willing to pop for a few bucks on a ringtone you should roll a few sacagaweas their way.